In India, every year on several occasions particularly when a God or Goddess is worshiped, many people (mostly women) including children perform different rituals. Most of the rituals are performed with the sole objective for fulfillment of personal wishes by the almighty. 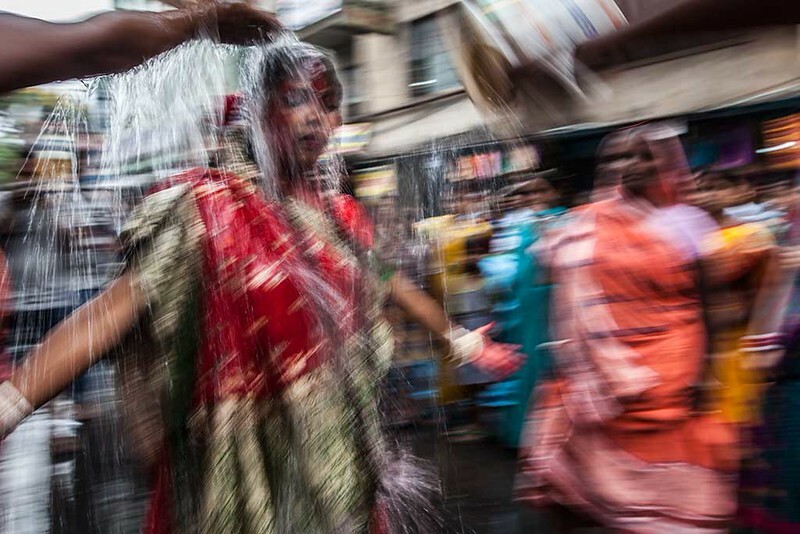 In this case, on an auspicious summer day scores of people after taking a dip in the holy river Ganga at Kalighat, a renowned holy place in Kolkata, India were performing a very traditional ritual of India, locally known as ‘Dondi’. They were going to the deity they worshiped with some personal wishes close to their hearts performing the ritual throughout the journey. Every year one/two participants become frenzied midway and appear to be in a state of trance. On the other hand, one/two persons do the ritual in some unique way with a belief that their very personal wishes will definitely be fulfilled through that process. After completion of the ritual when all of them reached the place of worship, they symbolically purified their body and soul holding fire on their hands and head in front of the deity expecting fulfillment of their secret wishes.